An MoU to develop the Phase 11 of South Pars gas field was inked on Tuesday between Iran’s NIOC and Petropars companies, France’s Total as well as CNPCI of China. An Agreement in Principle (AiP) for development of South Pars Phase 11 was signed today in Tehran between the National Iranian Oil Company (NIOC) and a consortium comprising France’s Total S.A., CNPCI (China National Petroleum Corporation International) as well as Iran’s Petropars Oilfield Services Company (POSCO). The agreement was sealed today on November 8, 2016 at the presence of Iran’s Minister of Petroleum Bijan Zanganeh. On the other hand, a noticeable point about the quadrilateral agreement is that CNPCI of China had been removed from the developmental project in South Pars Phase 11 for using delaying tactics and frequent stalls, Mehr reported. Presently, developmental projects for all South Pars phases have been assigned to Iranian firms and the Phase 11 remains as the only untouched section of the joint gas field with Qatar. NIOC officials have announced that the boosting of recovery factor marks the most important term in the developmental contract for Phase 11 in the post-JCPOA era. 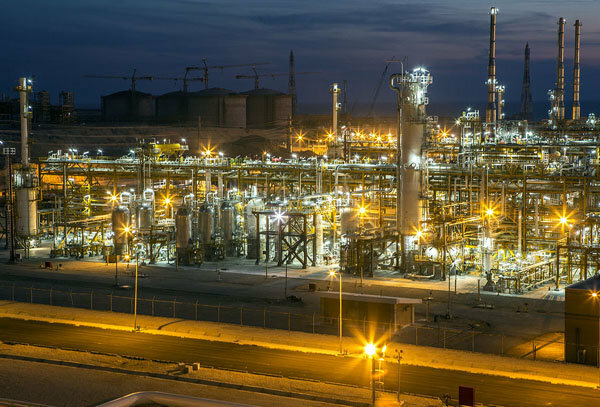 Expansion of South Pars Phase 11 is expected to increase daily gas production by approximately 50 million cubic meters.